This tank top pattern knocks my socks off. I love it. Tank tops are my favorite article of clothing by far. Yet, I always find that I don't have enough of them. What better project than to sew something that I need? To top that off, I have a generous stash of woven designer fabric that is aching to be used to make something. 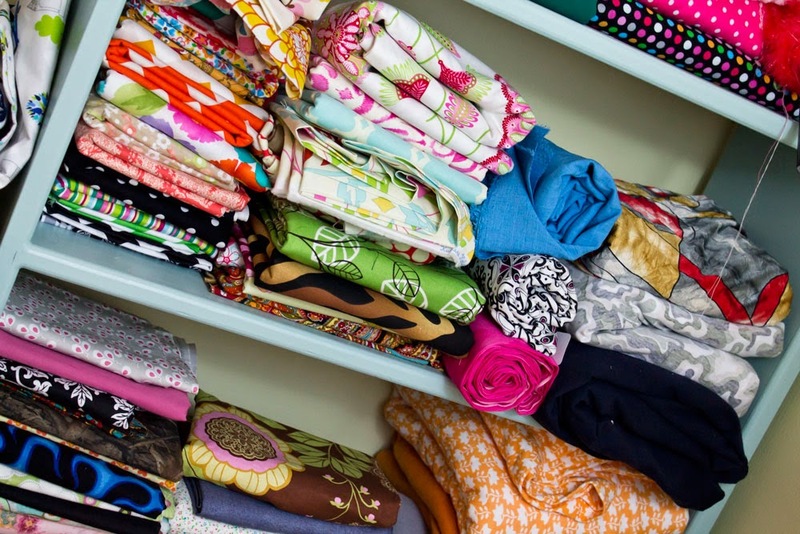 I will frequently browse the sales on fabric.com or my local quilt shop and pick up a new stash of fabric when I get a creative itch. Then I forget what I bough the fabric for and it sits on my shelf....waiting patiently for the day when it will turn into an article of beautiful creativity.You'll notice that I like to get 1 yard or more, because I know that I might change my mind on the end product....so I'll need extra. Ha! Anyone with me yet?! So here I am without enough tank tops and a stash of woven fabric that needs some attention. 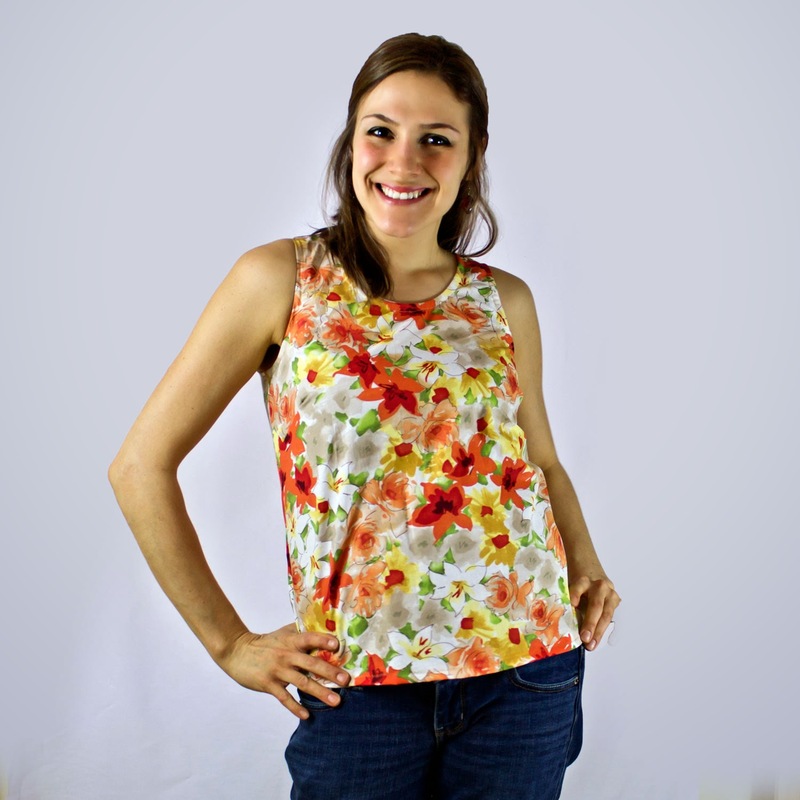 Light bulb moment: I should make a woven tank top pattern! Right? Well that was a great idea until I realized that I had never made anything for WOMEN before that would require sizing. I went to work. I worked and I worked to get the right arm holes, neck lines, dart placements, hip measurements....etc. You name it and it was a task to undertake. After a few attempts, I have the best, pull over woven tank top pattern on the market. It is beautiful. 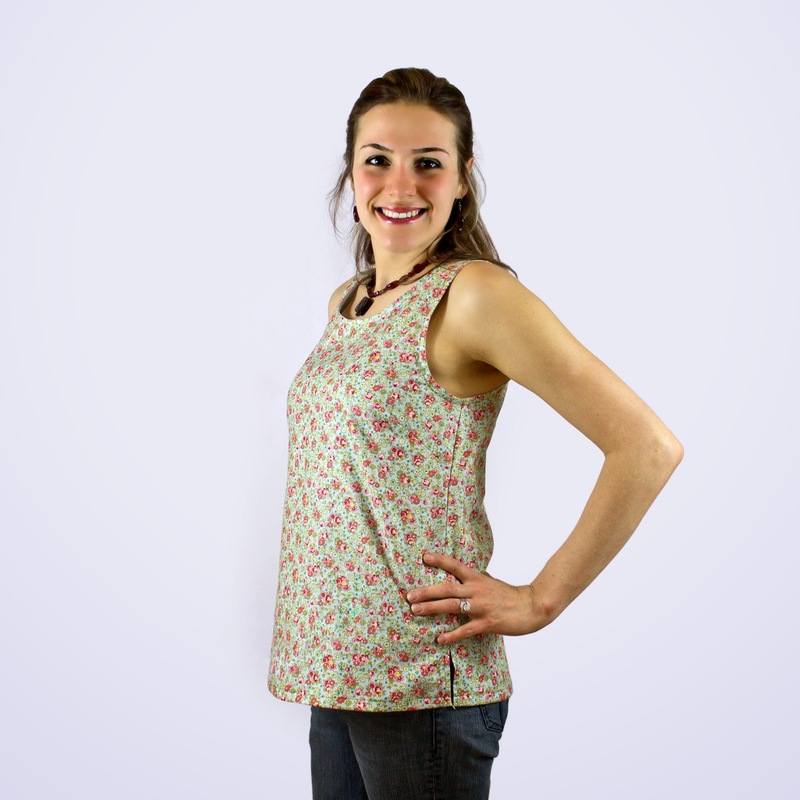 The first tank top pattern that I designed is a simple one. In fact, that's why I named it The Woven Simple Tank Pattern. It is incredibly easy and fast to make. 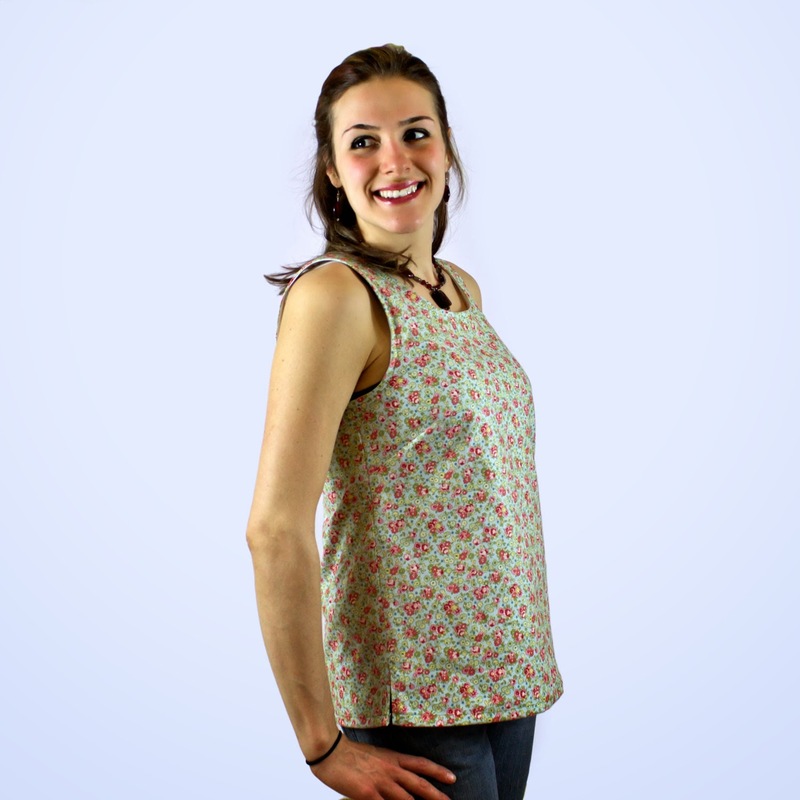 I show you step by step on how to finish the neckline and arm holes with bias tape. Don't worry – it's a snap, even for a beginner! The hem sits at the perfect hip length so that if you have wider hips, you don't have to worry about adjusting the sides of the shirt to fit you. The bust fits beautifully with the perfectly placed side darts. My favorite part about the Simple Tank is that it hides the tummy. 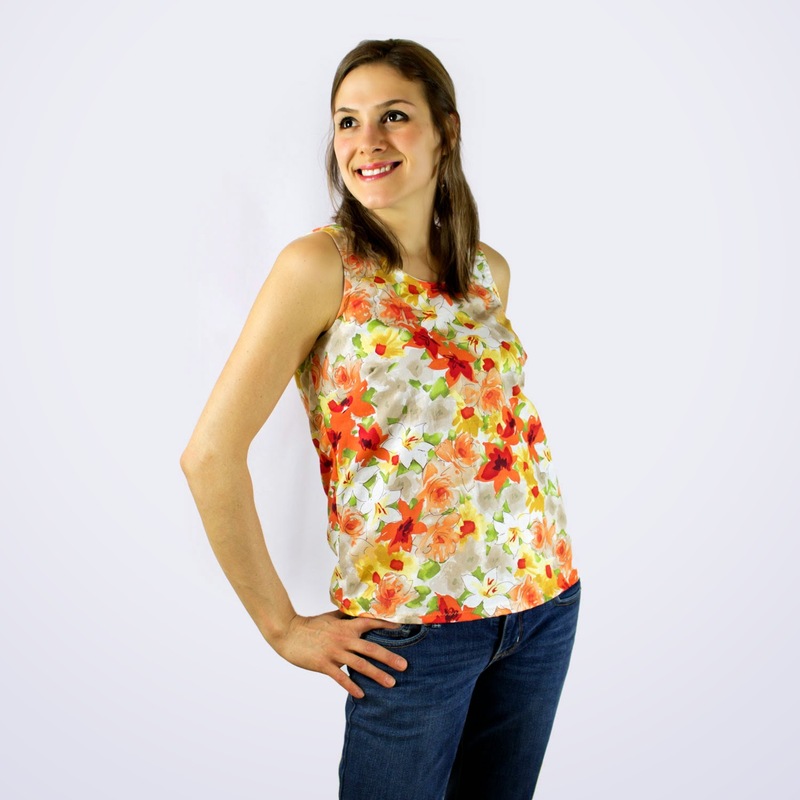 I have had a few babies and need some extra tummy coverage and this tank top pattern does it for me! Now I can look adorable without worrying about my flab ruining a great outfit! 3. The neckline is modest. There's nothing that frustrates me more than to find an adorable shirt that I have to wear something under because it's inappropriate on its own. 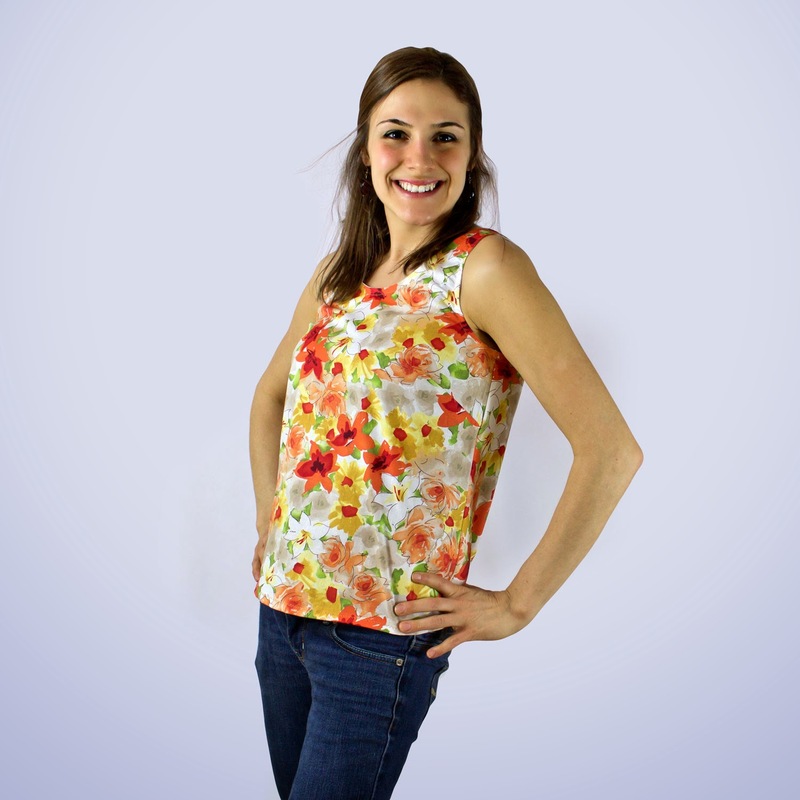 You won't find that issue with this tank top pattern. 5. This pattern is sized from 0-20. Don't worry if you don't know your "number". I've included an incredible size chart that helps you determine what size to make. 6. The pattern comes with printable pattern pieces. Print them from your home printer, tape together and cut out your size. Don't ever worry about sizing up or down. They are perfectly sized with real dimensions from real women. 7. You'll never find an easier pattern line than Mamma Can Do It designs. My tutorials all have easy to read instructions with crisp images for each step. I explain everything for beginner level. 8. If you are a beginner and can't wrap your head around the project, I offer help on all projects. I answer all questions within 24 hours (unless it's Sunday) and if you aren't pleased, I'll refund you for the pattern. Now you know how I feel about my new patterns for women. 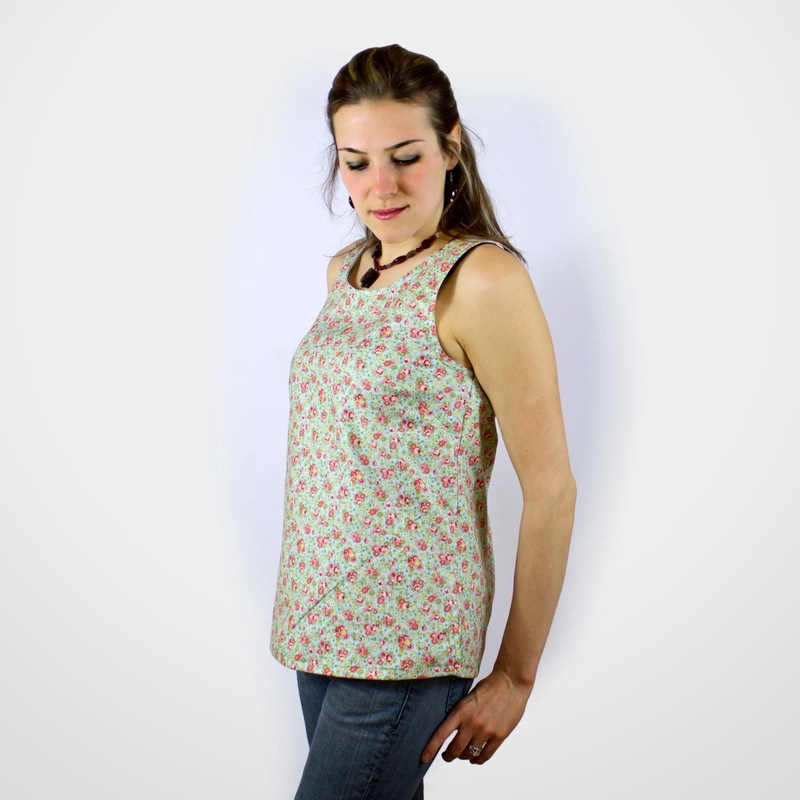 I'm planning on making a whole collection with this great neckline. I love that I can fit it over my head and yet it's completely appropriate and comfortable. The collection is called, The Victoria Collection. Make sure you check it out on my website from time to time. There will be some swing dresses in the near future!